This web site supports the Peripheral Neuropathy Support Group of the DC Metro Area. Our goal is to help PN patients and their families and friends throughout the Washington DC Region. A Support Group Near You? At the current time, we are the only such group in the DC area, with some people traveling quite a distance. There are hundreds of thousands of PN patients in the DC area, with a like number of caregivers. Many others are impacted when, as symptoms intensify, patients cannot maintain their activities, including work. One of our goals is to help other groups form, to be closer to their participants. Apparently the Riderwood retirement community has sponsored a new group. While this group is limited to occupants and guests, we are encouraged and hope to be helpful. We hope other local retirement communities will follow suit. Gerry Grey, the lifestyle director in Potomac Green (a senior housing community in Ashburn VA) has inquired about starting one after a well attended meeting. FPN has a lengthy "how-to" manual on support groups <PDF>. 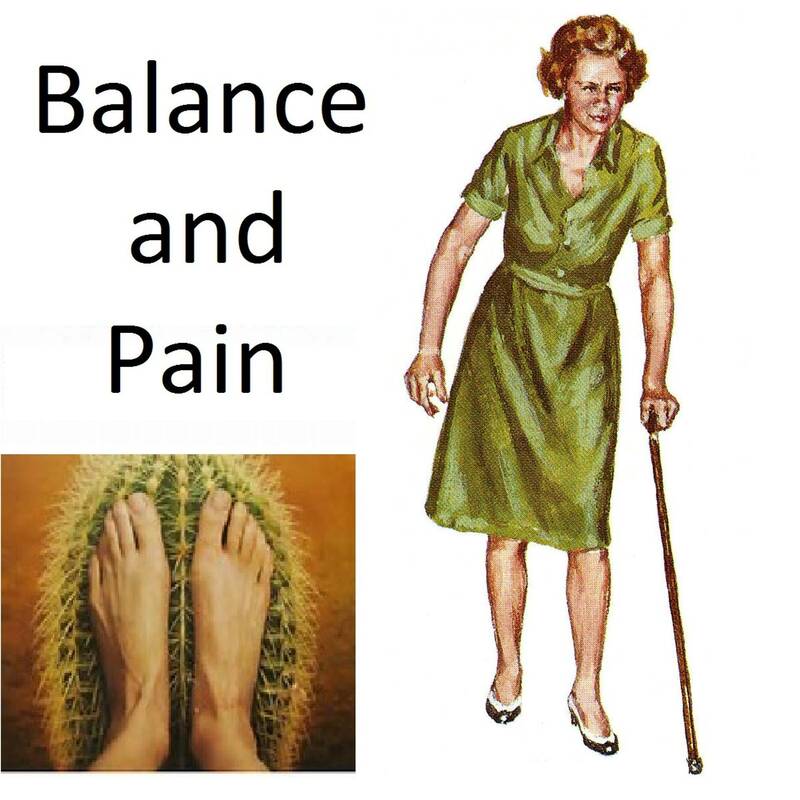 There is a shorter 6-pg manual <PDF> is from The Western Neuropathy Association <WNA website>. WNA's organizational genius, Bev Anderson, has used this to create the nation's widest neuropathy support network. We may customize it for our area. Should you Register? For now, don't bother. You don't have to register as a member to make use of this site. If you have already registered you can still sign-in. One feature that was member-only, making comments on the Blog posts, has been opened to anyone. What happened? In July 2018 we found that a security upgrade by our hosting service (WEBS) had technical problems that crippled the membership features. It may be repaired now, but we have suspended the implementation and testing process we started in Spring 2018. Other priorities have jumped into our queue. The Op Stuff page has more discussion. The Washington Post never had an article about PN. Despite PN's wide-spread prevalence (estimates are in the multiple hundreds of thousands in the DC area), the Post had never addressed the topic. We engaged in a months-long effort to get an article about Peripheral Neuropathy published in the Washington Post's weekly Health & Science section. A husband and wife team of our members, both with PN, took the lead on this. Lynn & Bob - > BRAVO! Check out the 35 comments on the article; their variety is a suggestive indicator of our scientific uncertainty, the lack of consistent medical guidance & public lack of awareness. At our June 2nd meeting the members wrote supporting Letters to the Editors. Don't know if those helped, but that's the kind of bit-by-bit action we can do. This web site is an annual expense (~$80 each July and ~$20 in January). Paid for a Tai-Chi class in April and a Chair Yoga class this Dec. Some members suggest sending a contribution to FPN - we need to decide! An official charity? Not yet - 501(c)(3) status takes time and effort - we need some adult time and help to get our act together. Create a core management team and organize volunteers with designated jobs. Improve Marketing via free newspapers, better Web and (most frightening) "Social Media"
March 10: public Patient Conference at DC's Sibley Hospital, sponsored by the Foundation for Peripheral Neuropathy. One result: offers from volunteers to participate in the PN Research Registry have increased dramatically. March 3: presentation on science behind exercise and mobility with PN. Feb 3: a BUNCH of new folks. They'd read about the group in The Golden Gazette. This has got us thinking about trying to contact some other local papers. Jan 6: Meeting cancelled! Yes, we're snow & ice wimps. And proud of it. Things are stirring: I have referred to PN as "being the least-known, wide-spread disease" That's not good. The Foundation for Peripheral Neuropathy (FPN) has gathered together some folks in an effort to hack away at "The Awareness Problem". Especially Congressional Awareness or lack thereof. This Main page hits all our basics. Please check out our survey on this page. Details page is an archive of materials we have gathered over the past few years, mainly notes and documents given to us by speakers and some self-generated docs. It's now organized chronologically, but could use some organization to make it more useful. The internet is a fire-hose and we really need a drinking fountain. Blog page is a Work-in-Progress - it works, and there area few entries, but we need a "blogger" person. Or a Social Media person (any Facebook lovers out there?). Future Meetings page has details about our calendar. Op Stuff page has discussions about our operations, including money and operational issues we need to think about. The MemberStuff page is on hold while waiting for WEBS to fix its login process. In principle, we could have an online donation feature to give money to the group. That is a subject for future discussion (we don't have a 501c3). Meanwhile, the Foundation for PN will be happy to put your contributions to good use. Membership - In January and February of 2018, I conducted tests of the "membership feature" of this site, but stopped when WEBS developed its login problems. The sub-pages of the Op Stuff page document how it might work. New to learning about Peripheral Neuropathy? The Foundation for Peripheral Neuropathy has an introductory <brochure> that hits all the right notes. Come to our meetings. Or email us <dcpn.group@gmail.com> or call us (301-263-0616). We're not smart enough to guess what you need or put useful pat answers on this web site. Besides, we need you, too. PN is a long slog and your willingness to come to our meetings and share your story is an inspiration to us all. So, come and see us. Want to know what Research has to offer? As a starting point, The Foundation for Peripheral Neuropathy (FPN) has an excellent collection of links to research going back to 2010. Most are digests or summaries written for laymen, not high science. Because scientific consensus on PN is so limited, internet browsing can be frustrating. The Details page is intended to highlight, comment on (and somewhat integrate) what we have heard in our support group meetings over the past few years. The Details page contains links to various supporting materials. Those linked materials may have the the golden nugget you are looking for. But, like the rest of this internet fire-hose, they are more likely to be helpful if we can talk to you and direct you to things we found helpful. We're not research librarians, but we do want to help. The <Western Neuropathy Assoc. site> has been greatly improved in the last year. It's Medical Literature page is done by a retired doctor who specializes in tracking PN research. What Makes the Group go? - Attendance - when you come it is all worthwhile. You bring mutual help, perspective, experiences, research, fun and sharing. - I (Mike) try to keep the techy stuff going, while making I-Know-It-All presentations. - Slippery-Slopers: people willing to do a single specific task. "But just this one thing!" - Pass-The-Hat money. Needed when we rent equipment or print stuff. Interested in the inner workings of our group? Fall 2017 - made our site more visible on Google & other search engines. Search for "neuropathy support group dc"
Go to the Details Page to browse the info we have collected. Who Manages This Web Site and Says all these Silly Things? My Name is Mike Foxworth (AKA Mike the Admin). I spent most of my career doing computer things, including many years programming web sites. But I have forgotten most of that stuff, so we are using the WEBS platform which makes it pretty simple to put this information out there. That's important, as life under Peripheral Neuropathy gets steadily harder. Steve Klitzman, our Noble Support Group Leader, does his best to keep me under control. My wife could have warned him. Apr 6th -We'll have a status update on our campaign to improve our group's reach and effectiveness. Including news and thoughts about a JOINT effort in March by several foundations and organizations to get Congressional support for PN research funding. If we have time, Mike and Frank Carr will talk about "shaker" machines designed to provide exercise for people with mobility issues. Mike has a new one he is excited about. We are hoping to experiment using video technology. Video could allow our speakers and demonstrations to reach people who cannot come to our meetings. We may be ready to try something at the April meeting. Disappointment: We had planned to meet with a specialist on Home Care planning, but that speaker had to cancel. We will reschedule. Something Simple You Can Do? To Gyms, Med Facilities, Stores, etc. The following Google-Forms survey will be used to help us understand the conditions, concerns and treatment results experienced by members of our group. We have been posting updated summaries of the results on this site. As of May 2017 we had 19 responses, enough to sense trends. With more data, more confidence. Here is the May 2017 version, including some comments. The following Neuropathy foundations have fallen by the wayside. We will not build awareness if we let more efforts fail - support those who remain! optionally, email alerts to you about future clinical trials you might be interested in. But, so far, we have only done a few. Anyone want to volunteer to write a Blog? You can add comments -- but we need interesting posts!. Note: In principle, we are limited in the number of messages we can get a month using this form, but so far we have never come close to that limit. Both methods send messages to the same mailbox.